Propylene glycol is found in many industrial and commercial products, including antifreeze, liquid laundry detergent solvents and paint. It is an additive in human and pet foods, pharmaceuticals and tobacco processing. The side effects of this common product include irritation and sensitivity to the eyes, skin and mucous membranes, according to the Scholar Chemistry Material Safety Data Sheet. Propylene glycol, an alcohol-based formula, combines with cosmetics and toiletries to assist these products in retaining moisture for application ease and prolonged shelf life. However, according to the International Programme on Chemical Safety, INCHEM, side effects occur with prolonged or direct contact with the eyes. These side effects include redness, tearing, burning, itching and conjunctivitis. Liquid eye solutions may have greater amounts of propylene glycol as re-wetting agents. Other solutions for symptoms of dry eyes are also liquid medications, and the FDA notes that consumers should be aware of adverse side effects from prolonged or excessive eye exposure in sensitive eyes. Propylene glycol is found in shampoos, deodorants, skin care lotions and room deodorizers. Normal use of these products is not dangerous or toxic to the skin or airways. However, prolonged or excessive application can cause redness and itching to sensitive skin. Ingestion of propylene glycol could cause irritation, burning sensations to the throat and mouth, nausea and vomiting. The side effects of prolonged inhalation of propylene glycol found in room deodorizers can cause irritation of the mucous membranes, wheezing, coughing and shortness of breath. It should be noted that regular use of skin lotions and cosmetics have no reported side effects in persons without skin sensitivities, according to the Scholar Chemistry website. Propylene glycol enters the body as an alcohol and metabolizes in the body's enzyme pathways. These pathways do not mature in humans until 12 to 30 months of age. Infants and children below the age of 4 years, pregnant women and those with kidney dysfunction or in renal failure are not able to eliminate propylene glycol in the body. According to the FDA, this inability to process and eliminate this product causes potential adverse reactions in infants and pregnant women as well as those with kidney problems. Amprenavir, an antiviral oral solution provided to patients through intravenous injection, can result in toxicity similar to alcohol intoxication. Since patients are often unaware of the volume of fluids in hospital intravenous medications, this particular generic solution can cause adverse side effects. 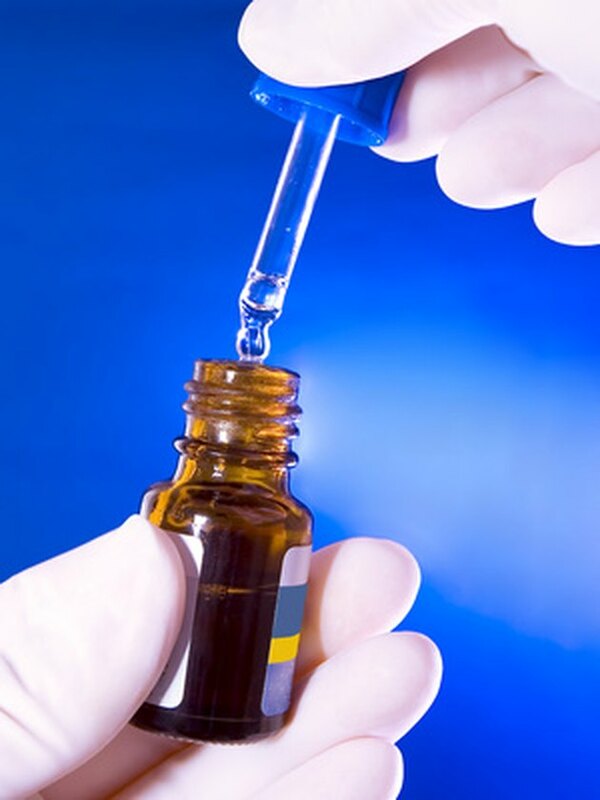 EHealthMe: What happens if you take Propylene Glycol?